Serving the Energy Industry for more than 15 Years! Ascension Technologies Inc is the primary master distributor for PETROLUXUS™, a unique proprietary and non-toxic range of Industrial and Specialty Chemicals for Oil Fields, Refineries, Petrochemicals, Water, Corrosion and Fire Retardant related Industries. Ascension Technologies’ PetroLuxus™ products are powered by a proprietary chemical with increased electron potential. Although the PetroLuxus™ chemistry is proprietary, the manufacturing process of the primary chemical use’s natural properties of silicon, sodium and oxygen to form an extremely concentrated alkali product that results in a femto scale molecular structure that affects the attraction and repulsion of hydrocarbons to mineral surfaces. PetroLuxus™ extreme hydrocarbon recovery products are highly concentrated and saturated with excess OH groups. In the oil-bearing formations, our PetroLuxus™ chemical formulations readily seek to disrupt weak hydrogen bonding that is associated with crude trapped in the formation pours. The natural tendency is for the PetroLuxus™ chemistry to penetrate the formation pour space, break the hydrogen bonding and surface tension that traps the oil and then physically displace the oil from the space. Once the mineral surfaces are exposed to the PetroLuxus™ chemistry, the surface becomes much less attractive to oil which then allows the oil to move. PetroLuxus™ chemistry is water soluble which causes rapid dispersion as it readily moves through the near well bore area and formation. The PetroLuxus™ proprietary technology continues to penetrate deeper and further into the formation until the electronic exchange is spent. This creates added value since no additional pressure is required for it to migrate deeper into the fracture network where no other stimulant chemicals have gone before. PetroLuxus™ chemistry is beyond nano scale and uses femto scale technology where one femtometer equals one quadrillionth of a meter. If you take a human hair and blow it up to the size of the Empire State Building, a typical human cell, say a red blood cell would rise to the tenth floor. A bacteria cell to the third floor. Working down our scale, a run of the mill protein molecule would be the same height is a small dog, about a foot and a half. A nanometer on our Entire state scale is less than a quarter of an inch. That’s about the size of five microscopic atoms placed end to end and a femtometer is 6 times smaller than that. 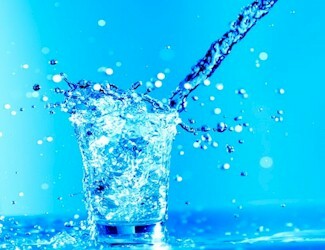 Thus, these formulations more easily migrate through the formation pours. PetroLuxus™ femto scale molecular structure readily seeks to disrupt weak hydrogen bonding, increasing permeability. 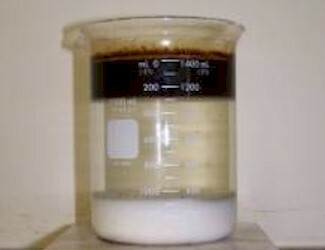 Ascension Technologies’ proprietary PetroLuxus™ chemistry penetrates the formation pour space and displaces the oil: Thus, promoting efficient separation releasing oil deeper and further into the fracture network, enhancing flow characteristics including disbursing paraffin an asphaltenes and providing protection to the formation for increased production. 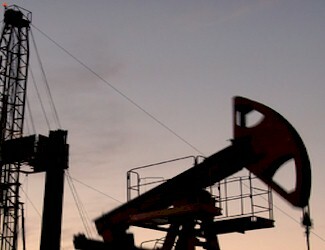 This increases oil recovery and in turn increases return on investment. The PetroLuxus™ Technology Platform is the core technology originally developed by Kurt E Neubauer for the Oil and Gas Industry. PetroLuxus™ products for the Oil & Gas Industry utilize technology to interrupt the bonding of hydrocarbons in oil formations and in soil. 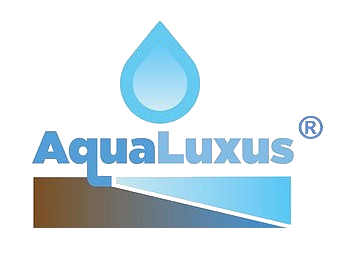 AquaLuxus® is a liquid solution specifically formulated for new and existing groundwater wells to improve water production through the removal of biofouling, improve water clarity and mitigate future microbial growth on well screens and gravel packs. 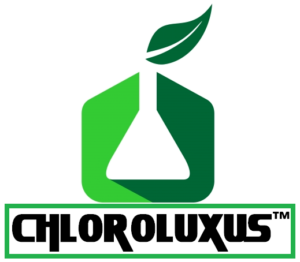 ChloroLuxus™ is a chloride reducing solution engineered to reduce the high salt content in high chloride count crude oil streams. High salt content crude oil is economically penalized in the spot crude oil markets due to the severe problems that arise in the refining process. MetalShield™ is a corrosion reducing solution engineered to bond directly to metal it is introduced to. FireShield™ is a fire retardant product designed to be environmentally friendly to forest, animals and aquatic life.